The Arrow has been designed to provide a comprehensive self-build racing car with outstanding performance and value. The Arrow’s sophistication and speed are ideal for drivers looking to upgrade to a challenging sports car formula. The forgiving driving characteristics combined with full and partial build assistance services make the Arrow highly accessible for drivers new to circuit racing, particularly from a karting background. Affordable entry point for racing. The Zetec SE parts kit retails at just £12,500 inc. VAT and it is very comprehensive when compared to many car kits on offer. The Comprehensive parts kit for Arrow2 Duratec based car is £14,500 inc. VAT. Detailed lists of the parts in these kits are available here. We also offer engine conversion and suspension set up services for £210 and £300 respectively. Please contact us for full build costs as these are determined by your individual requirements. Like all popular self build cars the arrow uses a number of components from a production car. A Ford Fiesta is used as a donor to reduce the overall cost of the car and gain reliability from the proven engineering of a production vehicle. All enveloping body 2 – seater sports layout designed for racing and incorporating roll over and side impact protection into the chassis. There are also impact crush zones outside of the main chassis to all sides to improve safety and reduce repair costs. The Arrow’s straightforward design comes with a comprehensive build manual and direct access for any questions you may have with the build. We offer a full or partial build service through our partners, Allied Motorsport. We also offer a repairs service, where each component can be purchased individually. Forgiving driving characteristics ideal for new entrants to motorsport. Where can I race the Arrow? 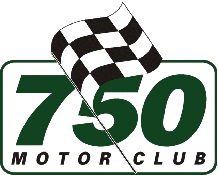 The aim of the Arrow is to create a competitive standalone championship with our partner, the 750 Motor Club. While we are busy building enough cars to make this happen, the sports specials formula has been selected as the ideal championship for the Arrow to flex its muscles. Sport specials is intended to allow many different designs of limited run 2 seater sports cars to compete together. This formula includes many higher priced vehicles with superior BHP than the Arrow, but the smart design of this sophisticated racer has allowed the Arrow to run consistently in the top half of the grid. The Arrow will be granted its own class within the sports specials category as soon as we are represented with 5 cars. To find out more, please visit the 750 motor club website.